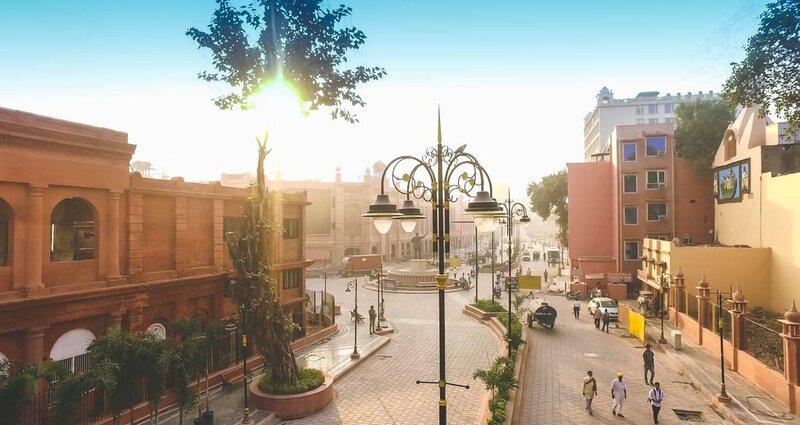 Having been born and brought up in Punjab, the heritage properties like ‘Haveli’ that inspire culture and tradition in the cities of Jalandhar and Amritsar are not something new to me. Having become so much used to streets bustling with bazaars and the aroma and taste of Punjabi food, I think almost everything about Punjab had stopped fascinating me in the recent past. However, it has been overwhelming to experience the cultural heritage of Punjab all over again during this week. An evening in Haveli (Jalandhar) as a part of FICCI-FLO Retreat and a family wedding in Amritsar gave me a chance to explore Punjab yet again after a long time indeed. And, that too with a bunch of people from different states of India. Seeing their excitement and the manner in which they enjoyed the traditional delicacies of Punjab with their list of things ready to be ticked off as soon as they entered Punjab, it motivated me to write a post about my birthplace: Amritsar. Talking about Punjab, you must consider exploring Amritsar if you are truly keen on learning its history and culture. Known as the golden city of North India, it is home to the spectacular Golden Temple (Sri Harimandir Sahib). This holy shrine is indeed one of the most serene and humbling sights of India so much so that you feel devotion in the air itself. There are long queues and it can easily take you up to three hours or even longer for darshan. In case you wish to skip the queue, you need to arrange for VIP entry that has to be done prior to your visit. There is a continuous singing of Gurbani Kirtan (hymns) at Golden Temple that is extremely soothing to your ears from the opening of its portals (doors) to their closing. If you’re an early riser, you must make an effort to witness Palki ceremony that takes places around 5:00 AM. Click here to check daily routine of Golden Temple. The bustling streets surrounding the temple are a delight to walk through. Not only you get to learn about this city’s fascinating history, you also get to experience its sights and sounds. As the sun sets, the entire place is bathed in beautiful yellow lights. You are in awe of its beauty and feel mesmerized. You may wander through busy bazaars selling a mix of Fulkari textiles, colorful turbans, beautiful parandas, shawls, scarves, and more. 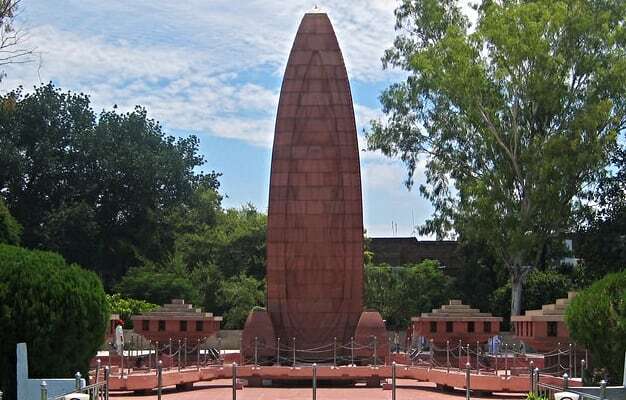 Just a few minutes’ walk from Harmandir Sahib is Jallianwala Bagh, the place of great historical significance. It is the site of the 1919 massacre of Indian citizens by British. There are well-manicured gardens blooming with color with pathways making a perfect spot for walkers. It has a light and sound show too. You can either rent a cab or take a Hop on Hop off Bus to Wagah Border, about 17 miles from Amritsar in order to witness Indian Border Retreat Ceremony. The rich heritage tour of the Hop on Hop off Bus that takes you to Wagah border starts from Golden Temple and other locations. You may find more information here. 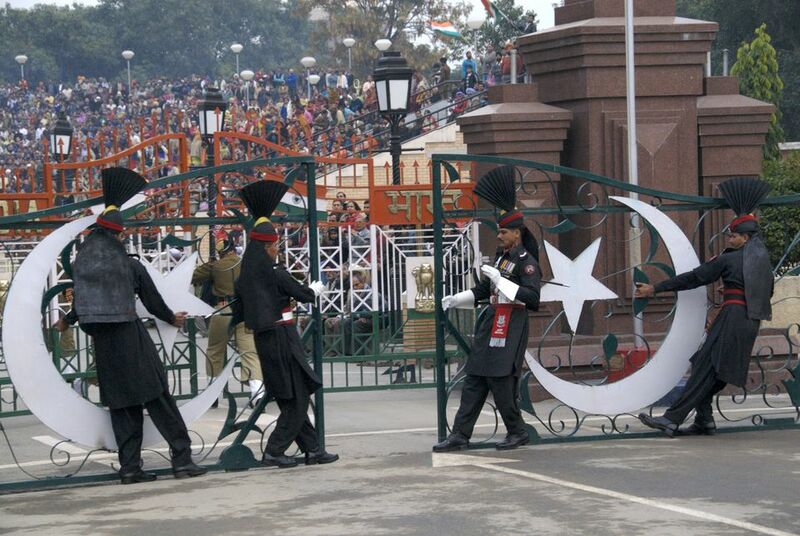 It’s thrilling to watch the ceremonial closing of the gates and the lowering of the flags of India and Pakistan. Sadda Pind is a resort spreading across 12 acres of land and represents a bustling village in Punjab. The true beauty of this resort lies in a fact that it gives you a chance to experience the authentic culture, colors, and flavors of Punjab all in one place. There are beautiful mud houses, artisans creating beautiful artifacts, and women singing melodies. Your trip to the holy city is incomplete without savoring its authentic flavors. There are some places you simply can’t miss going to if you actually wish to sample the authentic Punjabi cuisine. Have you been to Punjab? Why don’t you share your experience of exploring Amritsar with us in the comment section given below?